Let’s say you own a good quality car that you rarely drive. 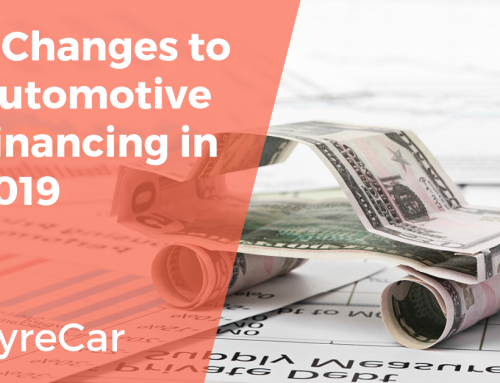 Why not turn that car’s depreciation into income? 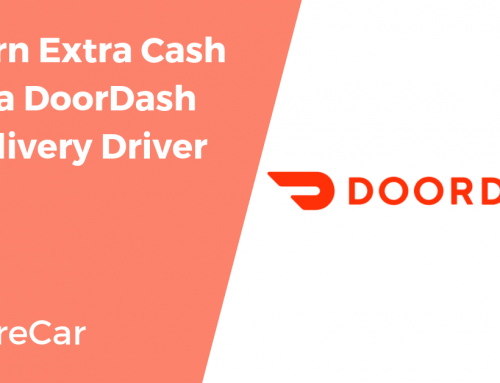 You can rent your car to Uber drivers and Lyft drivers who need a reliable vehicle for rideshare driving and earn up to $12,000 a year in passive income! 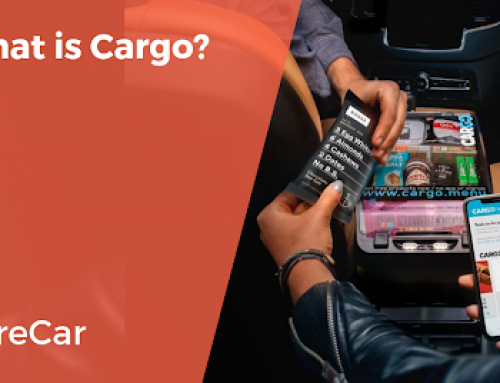 Your car could be an entry-level sedan, truck, SUV, minivan, or an elite luxury car that could be perfect for different levels of Uber, from UberX to Uber Black. Renting out your car is a great way to join the popular and profitable world of carsharing. Your car must be a 2004 model or newer. Some cities won’t allow any vehicle more than 10 years old to be used (2009 is the cut off age at the time of this blog being published). Your car must have in-state car insurance, registration and plates. Needs to pass a 19-point Uber/Lyft inspection that covers all safety and mechanical features of your car. Also, your car really has to look clean inside and out to attract potential drivers, as you will be posting pictures of the vehicle when you list it with HyreCar. You’ll definitely want to fix torn seats or clean up a dirty, grimy interior. Taking care of minor dents and scratches on the outside of your car is a good idea as well. Repairing these issues at dealerships and body shops can be costly, so here are some affordable ways that you can detail your car’s exterior and interior to make it ready for renting. Professional car detailing services are packaged deals you purchase at your local car wash or auto detailing centers that usually include carpet shampooing, vacuuming, hand wash/wax, polishing, and buffing out minor scrapes and scratches from the exterior. Cleaning the leather or fabric upholstery is often included in one of the packages. Getting your car detailed in this way is an easy and fairly affordable way to get your car to shine inside and out in only a few hours time. Detailing packages cost between $100 and $500 per cleaning, depending on where you go and the number of services included in the package. If you need to order new parts or accessories, click HERE to check out Get All Parts and get up to 78% off on the list price of select parts! From tires to bumpers to radiators, Get All Parts is determined to find you the right part at the right price. Simply create an account on their site with your email and enjoy an additional 10-20% off of your next auto parts purchase. You can also call YourMechanic to have an on-demand mechanic come give you a quote and save up to 30% on your repairs. Click HERE to get $10 off of your car services! A car full of sand, food crumbs, or dirt might not get rented by a potential driver. Use a powerful vacuum to clean up visible debris on the seats and carpets. Take the floor mats out and vacuum them separately to remove any dirt and debris that came off your and your passengers’ shoes. If the floor mats are stained with mud or residue from dried rain or snow, hose them down and give them a scrubbing with a sponge mop before returning them to your car. Replace the floor mats with new ones if your old ones are worn down or are too dirty to be cleaned. Be sure to vacuum out the trunk as well and remove any personal items you may have stored there. Check the condition of your car’s leather or vinyl armrests, seat surfaces, steering wheel and any other areas where your hands and bare skin (if you wear a lot of shorts or short sleeved shirts) can leave oils that caused a build-up of grime. Grease or makeup on your fingers can really stain the areas of your car’s interior that get touched a lot. If you have a dog that rides in the car, dirt from its paws and fur can do a number on seats, as well. Wipe up any sticky residues from spilled beverages in the cup holder area. We recommend going to your local automotive store and asking for cleaners and shampoos that specifically work on leather, vinyl, cloth, and carpet. Household cleaners like 409 or Fantastic might work in a pinch. Treat leather and vinyl seats with a stain resistant conditioner to keep them clean and supple for long periods of time. Treat cloth seats with a stain guard so dirt and spills can be removed easily. Ask a do-it-yourself expert how to clean dirt off car seats, and they might answer by telling you to use a mix of baking soda, vinegar, and water. Apparently, this mildly abrasive concoction cuts through dirt and grime. Search online for “how to clean car seats with baking soda” for instructions. Wrap a thin layer of cloth around the tip of a flathead screwdriver. Then use this modified tool to clean out dust and dirt from inside the grates of your air vents, around controls and knobs where dust accumulates, and hard to reach areas of your dashboard. Repair kits (purchased from automobile supply stores) usually include a swatch of backing cloth to stuff inside the tear, leather glue, leather colorant (make sure this matches the color of your upholstery), sandpaper, and leather sealant. Cloth seats can be repaired using fabric repair kits that glue the edges of the tear together using adhesive and a colored compound that you mix yourself to match your upholstery. Making your seats look new will be very attractive to a potential renter. If your car seats are beyond repair, or you’re looking for a quick fix, invest in custom made or universal pre-packaged seat covers. These protective covers fit over your existing car seats, hiding stains, tears, and other forms of damage. Pick a neutral color that matches your car. These can be purchased at automobile supply shops or online. Choose covers that are easy to install and remove. Make sure they’re also waterproof and machine washable. Now that we’ve talked about some ways to fix up the interior of your car, let’s move on to affordable exterior auto detailing. Using touch up paint on car scratches is a fast and easy way to cover up small surface imperfections on the exterior of your car. It comes in a small glass jar with an attached brush that hangs down into the paint from the screw top on the jar. How to use automotive touch-up paint is simple. Clean the scratched area with a little soap and water and wipe it dry. Then unscrew the cap and wipe off some of the excess paint so you don’t apply a big glob onto your car’s surface with the brush. Then gently touch the brush tip to the scratched area and let it dry. Apply another thin layer of paint if needed. The best place to buy car touch up paint is probably a local car dealer that sells your model of car. Bring your vehicle or the Vehicle Identification Number (VIN) to the parts department so they sell you the exact match for your car. You can also order car touch up paint online by providing your VIN. Make sure you test the paint on an exterior section of your car that not in plain view to make sure it matches before using it on a visible scratch. Nail polish is another way to paint over minor exterior scratches. Find the closest color match as you can and use the only the thinnest part of the brush applicator on the scratch. That way you’ll avoid thick globs on your car’s surface. We’ve all accidentally scraped our bumpers against pillars in parking garages, high curbs, and other surfaces leaving white streaks and marks. Or, other drivers have accidentally gotten a little too close to your car while parking next to your vehicle. That’s when you wonder how to get paint scrapes off a car. Well, you just might be able to remove or lessen the visibility of these scrapes easily and at an affordable price, as long as they didn’t remove any surface paint. Try Carnauba Wax. This is a thick paste made from Brazilian palm tree leaves. One of its uses is for polishing and removing surface scrapes and dirt from car exteriors. Clean the area of the car where the scrapes are with soap and water and let it air dry or dry it with a towel. Then take a clean, white cloth and dig it into the paste. Then apply and rub it on the scrapes. If the scrapes are only on the surface of your car, the paste might just buff them out enough to make them less visible, or possibly allow them to be concealed with a coat of touch up paint. Need a new bumper all together? Click HERE to check out Get All Parts and get up to 78% off on the list price of select parts including bumpers! Finding small dings and dents in your car is a part of life. They don’t affect how your car drives, but they’re sure annoying. Especially if you have a new, pristine car. All it takes is one inconsiderate driver who parks a little too close to your car. You might not be able to get all dents and dings out of your car yourself, but there are some affordable home remedies to make them less noticeable. Hot glue: This method takes some time and skill with various tools. You cut a small piece of a wooden dowel or broomstick into a 5-inch long section, making sure the flat end is wide enough to cover the dent you want to repair. Heat up the dented area on your car with a blow dryer. Then quickly apply hot glue from a glue gun on the flat end of the towel and affix it over the dent, holding it in place so the dowel really sticks to your car. Let it cool for several minutes, then pull on the dowel. You might want to create handles in the dowel by screwing a wood screw into both sides of the wood. The depression of the ding or dent should be pulled outward as you pull on the dowel. Then scrape off the remaining glue from your car. You can heat the glue with the blow dryer to soften it up. Plunger: This may work for bigger dents. Take a wide mouth cup plunger (not the kind used for unclogging toilets, which have a narrow rubber flange inside the cup) and wet the rubber section. Then push it onto the dent to create suction and pull. The dent might just come out when you pull off the plunger. If you or someone else caused a big dent in the side or bumper that can’t be fixed at home, it’s probably a good idea to bring the car to a local pro. If you need to order new parts for your vehicle while you are repairing it, you can Save up to 78% Sitewide at Get All Parts. 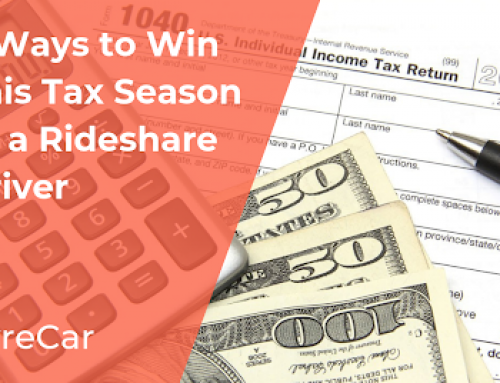 Rideshare drivers need unobstructed vision when behind the wheel. This means the windshield and windows cannot have any large cracks in the glass that might interfere with a driver’s ability to see clearly. The driver side and passenger side windows must function properly, opening and closing with no issues. Windshield wipers that function correctly are also extremely important when it comes to driving in bad weather or to clean a dirty windshield. These safety issues are critical when it comes to your vehicle passing the Uber/Lyft 19 point inspection. Auto repair experts recommend replacing your car’s windshield wipers every 6 to 12 months. The rubber blades of the wipers can dry out, tear, or crack as they are worn down over time, preventing them from effectively moving rain, sleet, snow, or window washing fluid to the sides of the windshield. If your wipers smear your windshield instead of leaving it clear by squeegeeing away moisture, or if you see obvious cracks in the rubber blades, it’s best to replace the wipers immediately. This is something you can easily do yourself. Measure the blade size or look it up in your car’s manual. Then depress the small clip, or tab, on the underside of each wiper arm and slide off the old rubber blades. Now you can take them to your local auto supply store so you can buy replacement blades. Just slip the new blades back on to the wiper arms until they click in place. You’re done! Employees at auto supply stores are usually very happy to help when it comes to finding and installing wiper blades. There is no need to replace the wiper arms if they are functioning properly. You should make sure the washer fluid container under the hood is full before your list your car for renting. You never know when a rock or other kinds of debris might fly up off the road at high speed and chip or crack your windshield. These chips and cracks can get bigger over time if not repaired. If there is major damage due to an accident, and the entire windshield needs to be replaced, check with your auto insurance carrier to see if you’re covered. In general, auto glass professionals say when it comes to car windshield repair, a crack less than 3-inches long can probably be repaired without replacing the entire windshield. However, if there are more than 3 cracks in the glass or one of the cracks is directly in the driver’s line of sight, the windshield should be completely replaced. Replacing the entire windshield should be left to professionals, but it is possible to affordably fix small chips and cracks yourself. Windshield glass repair kits can be purchased online or from auto supply stores. They usually cost around $13. The kits come with clear resin and special applicators that “inject” the resin into the crack or chip to fill in and minimize the damage. If you prefer to have a professional do the job, a Google search for auto glass repair will bring up several windshield glass repair companies in your area. Some may require you to bring the car to their shop, or there are mobile repair companies that will bring everything needed to your home or office. An entire windshield replacement should cost between $100-$400, depending on the model and size of your vehicle. However, if your windshield can only be purchased from a dealer, it could cost upwards of $500 to $1000. It’s always a good idea to check Groupon or another online coupon website for local discounts. Repairing small chips run around $10-$60 each, while a large crack repair could cost between $50-$150, depending on the severity of the damage. No matter what the cost, repairing a cracked or defective windshield is an absolute necessity if you want your car to be considered for ridesharing. Tires older than 5 years should be inspected for tears, cracks and worn tread by a professional at least once a year. Tires that are approaching 10 years should be replaced, as 10 years is considered a tire’s maximum life span. Here’s a do-it-yourself tread test, (also known as “the quarter test”): Insert an upside down quarter between the larger grooves on the tire’s surface. If only the top of George Washington’s head disappears into the groove, your tread has 4/32 of an inch depth left. That’s still good, but it also means that you should now start checking the tread on a monthly basis. Anything less than 4/32 of an inch means you should replace the tires in the near future. You can also use a penny to do a tire tread test as well. It’s called “the penny trick.” Insert a penny, upside down, into the tire’s groove with Abe Lincoln’s profile facing you. If you can still see all of Honest Abe’s” head, you’ve got less than 2/32-inch tread left and it’s tire replacement time. Use a protectant like Armor All on your tires. This moisturizing cleanser will protect the rubber from cracking and drying out caused by extreme weather conditions and road chemicals. The life span of your tires can be extended if you practice safe driving techniques. Avoid speeding, emergency braking, skidding, quick starts, and rough, unpaved roads. Keep tire pressure maintained and get your tires balanced and aligned by a professional. Don’t replace a damaged tire with the spare in your trunk. Spares are lightweight tires only meant for temporary use until a new, full-size tire can be installed. Listing your extra or unused car on HyreCar is a win-win for everyone involved! 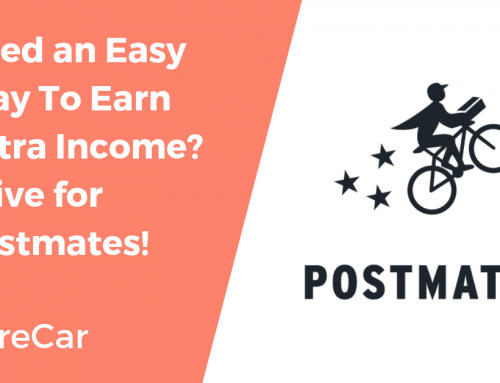 You’ll earn an average of $1000 a month, and you’ll give a rideshare driver in need of a vehicle the ability to work and make some much-needed income. And as we’ve discussed, you don’t have to pay thousands of dollars to improve the looks of your car so it looks good enough for renting. All you need is a little elbow grease, some ingenuity, and some affordable supplies.